"Baroness" redirects here. For other uses, see Baroness (disambiguation). Not to be confused with Baronet. During the Ancien Régime , French baronies were very much like Scottish ones. Feudal landholders who possessed a barony were entitled to style themselves baron if they were nobles; a roturier (commoner) could only be a seigneur de la baronnie (lord of the barony). These baronies could be sold freely until 1789 when feudal law was abolished. The title of baron was assumed as a titre de courtoisie by many nobles, whether members of the Nobles of the Robe or cadets of Nobles of the Sword who held no title in their own right. Emperor Napoléon created a new imperial nobility, in which baron was the second-lowest title. The titles followed a male-only line of descent and could not be purchased. 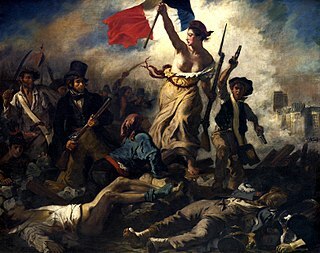 As Emperor of the French, Napoleon I created titles of nobility to institute a stable elite in the First French Empire, after the instability resulting from the French Revolution. In 1815, King Louis XVIII created a new peerage system and a Chamber of Peers, based on the British model. Baron-peer was the lowest title, but the heirs to pre-1789 barons could remain barons, as could the elder sons of viscount-peers and younger sons of count-peers. This peerage system was abolished in 1848. The Chamber of Peers was the upper house of the French parliament from 1814 to 1848. In pre-republican Germany all the knightly families of the Holy Roman Empire (sometimes distinguished by the prefix von or zu ) eventually were recognised as of baronial rank, although Ritter is the literal translation for "knight", and persons who held that title enjoyed a distinct, but lower, rank in Germany's nobility than barons ( Freiherren ). The wife of a Freiherr (Baron) is called a Freifrau or sometimes Baronin, his daughter Freiin or sometimes Baroness. Families which had always held this status were called Uradel ('primordial/ancient/original nobility'), and were heraldically entitled to a three pointed coronet. Families which had been ennobled at a definite point in time (Briefadel or "nobility by patent") had seven points on their coronet. These families held their fief in vassalage from a suzerain. The holder of an allodial (i.e., suzerain-free) barony was thus called a Free Lord, or Freiherr . Subsequently, sovereigns in Germany conferred the title of Freiherr as a rank in the nobility, without implication of allodial or feudal status. Since 1919, hereditary titles have had no legal status in Germany. In modern, republican Germany, Freiherr and Baron remain heritable only as part of the legal surname (and may thereby be transmitted by males to their wives and children, without implication of nobility). In Austria, hereditary titles have been completely banned. Thus, a member of the formerly reigning House of Habsburg or members of the former nobility would in most cases simply be addressed as Herr/Frau (Habsburg) in an official/public surrounding, for instance in the media. Still, in both countries, honorary styles like "His/her (Imperial/Royal) Highness", "Serenity", etc. persists in social use as a form of courtesy. Generally, all legitimate males of a German baronial family inherit the title Freiherr or Baron from birth, as all legitimate daughters inherit the title of Freiin or Baroness. As a result, German barons have been more numerous than those of such countries where primogeniture with respect to title inheritance prevails (or prevailed) as France and the United Kingdom. In Italy, barone was the lowest rank of feudal nobility except for that of signore or vassallo (lord of the manor). The title of baron was most generally introduced into southern Italy (including Sicily) by the Normans during the 11th century. Whereas originally a barony might consist of two or more manors, by 1700 we see what were formerly single manors erected into baronies, counties or even marquisates. 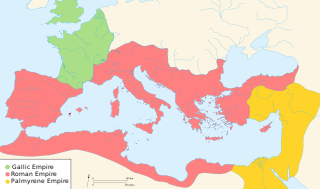 Since the early 1800s, when feudalism was abolished in the various Italian states, it has often been granted as a simple hereditary title without any territorial designation or predicato. The untitled younger son of a baron is a nobile dei baroni and in informal usage might be called a baron, while certain baronies devolve to heirs male general. Since 1948 titles of nobility have not been recognised by the Italian state. In the absence of a nobiliary or heraldic authority in Italy there are, in fact, numerous persons who claim to be barons or counts without any basis for such claims. Baron and noble (nobile) are hereditary titles and, as such, could only be created or recognised by the kings of Italy or (before 1860) the pre-unitary Italian states such as the Two Sicilies, Tuscany, Parma or Modena, or by the Holy See (Vatican) or the Republic of San Marino. Beginning around 1800, a number of signori (lords of the manor) began to style themselves barone but in many cases this was not sanctioned legally by decree, while there was even less justification in the holder of any large (non-feudal) landed estate calling himself a baron. Nevertheless, both were common practices. In most of peninsular Italy the widespread medieval introduction of the title was Longobardic, while in Sicily and Sardinia it was coeval with Norman rule some centuries later, and one referred to the baronage when speaking of landed nobles generally. 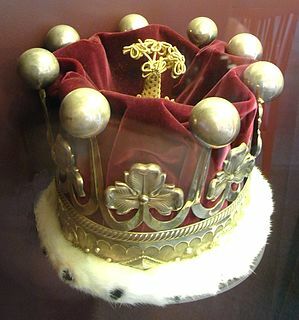 The heraldic coronet of an Italian baron is a jewelled rim of gold surmounted by seven visible pearls, set upon the rim directly or upon stems; alternately, the French style coronet (entwined in a string of small pearls, with or without four bigger visible pearls set upon the rim) is used. In the medieval era, some allodial and enfeoffed lands held by nobles were created or recognized as baronies by the Holy Roman Emperors, within whose realm most of the Low Countries lay. Subsequently, the Habsburgs continued to confer the baronial title in the Southern Netherlands, first as kings of Spain and then, again, as emperors until abolition of the Holy Roman Empire, but these had become titular elevations rather than grants of new territory. In the Netherlands after 1815, titles of baron authorized by previous monarchs (except those of the Napoleonic Kingdom of Holland) were usually recognized by the Dutch kings. But such recognition was not automatic, having to be authenticated by the Supreme Council of Nobility and then approved by the sovereign. This ceased to be possible after the Dutch constitution was revised in 1983. More than one hundred Dutch baronial families have been recognized. The title is usually inherited by all males descended patrilineally from the original recipient of the title, although in a few noble families baron is the title of cadet family members, while in a few others it is heritable according to primogeniture. 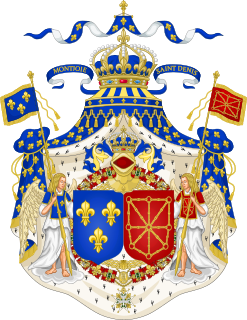 After its secession in 1830, Belgium incorporated into its nobility all titles of baron borne by Belgian citizens which had been recognized by the Netherlands since 1815. In addition, its monarchs have since created or recognized other titles of baron, and the sovereign continues to exercise the prerogative to confer baronial and other titles of nobility. Baron is the third lowest title within the nobility system above knight (French : chevalier, Dutch : ridder) and below viscount . There are still a number of families in Belgium that bear the title of baron. Luxembourg's monarch retains the right to confer the baronial title. Two of the grand duchy's prime ministers inherited baronial titles that were used during their tenures in office, Victor de Tornaco and Félix de Blochausen. In Norway, king Magnus VI of Norway (1238–1280) replaced the title Lendmann with Baron, but in 1308 Haakon V abolished the title. The present corresponding title is baron in the Danish nobility and in the Norwegian nobility, friherre (baron is used orally, while it is written as friherre) in the Swedish nobility, and vapaaherra in the nobility of Finland. In the beginning, Finnish nobles were all without honorific titulature, and known simply as lords. Since the Middle Ages, each head of a noble family had been entitled to a vote in any of Finland's provincial diets whenever held, as in the realm's House of Nobility of the Riksdag of the Estates. In 1561, Sweden's King Eric XIV granted the hereditary titles of count and vapaaherra to some of these, but not all. Although their cadet family members were not entitled to vote or sit in the Riksdag, they were legally entitled to the same title as the head of the family, but in customary address they became Paroni or Paronitar. Theoretically, in the 16th and 17th centuries, families elevated to vapaaherra status were granted a barony in fief, enjoying some rights of taxation and judicial authority. Subsequently, the "barony" was titular, usually attached to a family property, which was sometimes entailed. Their exemptions from taxes on landed properties continued into the 20th century, although in the 19th century tax reforms narrowed this privilege. 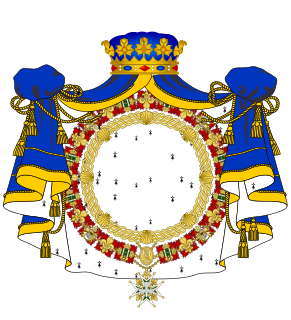 Nobility creations continued until 1917, the end of Finland's grand ducal monarchy. Muscovite Russia had no traditional baronial titles of its own; they were introduced in early Imperial Russia by Peter the Great. In the hierarchy of nobility introduced by Peter the Great, barons (барон) ranked above untitled nobility and below counts (граф, graf). The styles "Your Well-born" (Ваше благородие, Vashe blagorodiye) and "Master Baron" (Господин барон, Gospondin baron) were used to address a Russian baron. There were two main groups of nobility which held the baronial title. One was the Baltic German nobility, for which Russia merely recognized their pre-existing titles; the other was new barons created by the Emperors of Russia after 1721. Like in many other countries, new baronial titles were often created by ennoblement of rich bourgeoisie. The title of baron, along with the rest of the noble hierarchy, was abolished in December 1917 after the Bolshevik Revolution; however, certain leaders of the White movement like Baron Pyotr Wrangel and Roman von Ungern-Sternberg continued to use the title until the end of the Russian Civil War. In Spain the title follows Vizconde in the noble hierarchy, and ranks above Señor . Baronesa is the feminine form, for the wife of a baron or for a woman who has been granted the title in her own right. In general, titles of baron created before the 19th century originate from the Crown of Aragon. Barons lost territorial jurisdiction around the middle of the 19th century, and from then on the title became purely honorific. Although most barons have not held the rank of grandeza as well, the title has been conferred in conjunction with the grandeza. The sovereign continues to grant baronial titles. In the Peerage of England, the Peerage of Great Britain, the Peerage of Ireland and the Peerage of the United Kingdom (but not in the Peerage of Scotland), barons form the lowest rank, placed immediately below viscounts. A woman of baronial rank has the title baroness. In the Kingdom of England, the medieval Latin word baro, baronis was used originally to denote a tenant-in-chief of the early Norman kings who held his lands by the feudal tenure of "barony" (in Latin per baroniam), and who was entitled to attend the Great Council (Magnum Concilium) which by the 13th century had developed into the Parliament of England. Feudal baronies (or "baronies by tenure") are now obsolete in England and without any legal force but any such historical titles are held in gross , that is to say are deemed to be enveloped within a more modern extant peerage title also held by the holder, sometimes along with vestigial manorial rights and tenures by grand serjeanty. In addition, baronies are often used by their holders as subsidiary titles, for example as courtesy titles for the son and heir of an Earl or higher-ranked peer. The Scottish baronial title tends to be used when a landed family is not in possession of any United Kingdom peerage title of higher rank, subsequently granted, or has been created a knight of the realm. Several members of the royal family with the style of Royal Highness are also titled Barons. For example, Charles, Prince of Wales is also The Baron of Renfrew. Similarly, his eldest son Prince William, Duke of Cambridge is also The Baron Carrickfergus and Prince Andrew, Duke of York is The Baron Killyleagh. Some non-royal Barons are somehow related to the royal family, for example Maurice Roche, 6th Baron Fermoy is William's first cousin once removed, through William's late mother, Diana, Princess of Wales, who was the 4th Baron Fermoy's granddaughter. The title of baron (Irish : barún) was created in the Peerage of Ireland shortly after the Norman invasion of Ireland (1169). Ireland's first baronies included Baron Athenry (1172), Baron Offaly (c. 1193), Baron Kerry (1223), Baron Dunboyne (1324), Baron Gormanston (1365–70), Baron Slane (1370), Baron of Dunsany (1439), Baron Louth (c. 1458) and Baron Trimlestown (1461). A person holding a peerage in the rank of baron is entitled to a coronet bearing six silver balls (called pearls) around the rim, equally spaced and all of equal size and height. The rim itself is neither jeweled, nor 'chased' (which is the case for the coronets of peers of higher degree). The actual coronet is worn only for the coronation of a new monarch, but a baron can bear his coronet of rank on his coat of arms above the shield. In heraldry, the baron's coronet is shown with four of the balls visible. Formally, barons are styled The Right Honourable The Lord [Barony] and barons’ wives are styled The Right Honourable The Lady [Barony]. Baronesses in their own right, whether hereditary or for life, are either styled The Right Honourable The Baroness [Barony] or The Right Honourable The Lady [Barony], mainly based on personal preference (e.g. Lady Thatcher and Baroness Warsi, both life baronesses in their own right). Less formally, one refers to or addresses a baron as Lord [Barony] and his wife as Lady [Barony], and baronesses in their own right as Baroness [X] or Lady [X]. In direct address, barons and baronesses can also be referred to as My Lord, Your Lordship, or Your Ladyship, but never as My Lady (except in the case of a female judge). The husband of a baroness in her own right gains no title or style from his wife. TheRight Honourable is frequently abbreviated to The Rt Hon. or Rt Hon. When referred to by the Sovereign in public instruments, The Right Honourable is changed to Our right trusty and well-beloved, with Counsellor attached if they are a Privy Counsellor. Children of barons and baronesses in their own right, whether hereditary or for life, have the style The Honourable [Forename] [Surname]. After the death of the father or mother, the child may continue to use this style. Courtesy barons are styled Lord [Barony], and their wives Lady [Barony]; the article "The" is always absent. If the courtesy baron is not a Privy Counsellor, the style The Right Honourable will also be absent. It is very common for the surnames of barons and baronesses to be identical to or included in the formal title of their barony. However, when addressed as a peer, Lord, Lady or Baroness is followed by the name of their barony, not their personal name. This is relevant when a baron or baroness's title is completely different from their personal surname (e.g. William Thomson, Lord Kelvin), or includes a territorial designation in addition to their surname (e.g. Martin Rees, Lord Rees of Ludlow). This also means that including a baron or baroness's forename before their title is incorrect and potentially misleading. For example, "Lady Margaret Thatcher" (as opposed to "Lady Thatcher") would imply that she were the daughter of an earl, marquess or duke rather than a baroness. Likewise, in the case of men, "Lord Digby Jones" (as opposed to "Lord Jones of Birmingham") would imply that he were the younger son of a marquess or duke rather than a baron. The United Kingdom has a policy of including titles of nobility on passports: the title is entered into the surname field and a standard observation is recorded giving the holder's full name and title. A Baron would therefore record their surname as Lord [Barony], and the observation would note that The holder is The Right Honourable [given names] [surname] Lord [Barony]. However, if the title of an applicant's peerage is different from their surname, they can choose whether to use their surname or title in the surname field. A baroness in their own right would substitute "Baroness" for "Lord", and the wife of a Baron would similarly substitute "Lady". Titles of nobility are checked against Debrett's Peerage, Who's Who or the London Gazette by the passport office on application. 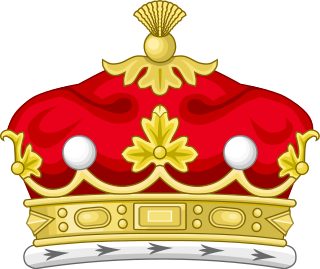 In Scotland, the rank of baron is a rank of the ancient feudal nobility of Scotland and refers to a holder of a feudal barony, formerly a feudal superiority over a proper territorial entity erected into a free barony by a Crown Charter this being the status of a minor baron, recognized by the crown as noble, but not a peer. The Court of Lord Lyon will officially recognise feudal barons or those possessing the dignity of baron who meet certain criteria,  and will grant them arms with a helmet befitting their degree. 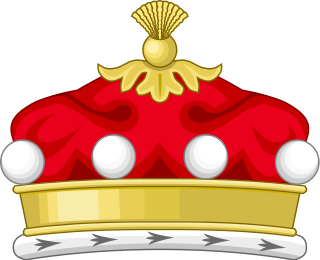 Scottish barons rank below Lords of Parliament and while noble have the status of minor baron, being a non-Peerage rank; as such it can be transferred by either inheritance or conveyance. In showing that Scottish barons are titles of nobility, reference may be made, amongst others, to the Lyon Court in the Petition of Maclean of Ardgour for a Birthbrieve by Interlocutor dated 26 February 1943 which "Finds and Declares that the Minor Barons of Scotland are, and have both in this Nobiliary Court, and in the Court of Session, been recognised as 'titled' nobility, and that the estait of the Baronage (The Barones Minores) is of the ancient Feudal Nobility of Scotland". Sir Thomas Innes of Learney, in his Scots Heraldry (2nd Ed., p. 88, note 1), states that "The Act 1672, cap 47, specially qualifies the degrees thus: Nobles (i.e. peers, the term being here used in a restricted seventeenth-century English sense), Barons (i.e. Lairds of baronial fiefs and their 'heirs', who, even if fiefless, are equivalent to heads of Continental baronial houses) and Gentlemen (apparently all other armigers)." Baronets and knights are evidently classed as 'Gentlemen' here and are of a lower degree than Barons. Scottish barons style their surnames similarly to Clan Chiefs, with the name of their barony following their name, as in John Smith of Edinburgh or John Smith, Baron of Edinburgh. Most formally, and in writing, they are styled as The Much Honoured Baron of Edinburgh. Their wives are styled Lady Edinburgh, or The Baroness of Edinburgh. The phrase Lady of Edinburgh is wrong if the lady in question does not hold a Scottish barony in her own right. Orally, Scottish barons may be addressed with the name of their barony, as in Edinburgh or else as Baron without anything else following, which if present would suggest a peerage barony. Informally, when referring to a Scots feudal baron in the third person, the name Baron of [X] is used or simply [X]. The Portuguese equivalent Barão (female: baronesa). the Romanian equivalent Baron (female: baronesă). In Armenian, the word "Baron" should not be confused with the similar word "Paron" (Armenian: Պարոն), which is a title given to ordinary men, equivalent to 'Sir' or 'Mr'. In the Polynesian island monarchy of Tonga, as opposed to the situation in Europe, barons are granted this imported title (in English), alongside traditional chiefly styles, and continue to hold and exercise some political power. Chisholm, Hugh, ed. (1911). "Baron" . Encyclopædia Britannica . 3 (11th ed.). Cambridge University Press. pp. 421–423. Ridder is a noble title in the Netherlands and Belgium. Traditionally it denotes the second lowest rank within the nobility, standing below Baron, but above the untitled nobility (Jonkheer) in these countries. "Ridder" is a literal translation of Latin Eques and originally meant "horseman" or "rider". For its historical association with warfare and the landed gentry in the Middle Ages, it can be considered roughly equal to the titles of "Knight" or "Baronet". In the Netherlands and Belgium no female equivalent exists. The collective term for its holders in a certain area as an executive and legislative assembly is named the Ridderschap. An Irish feudal barony was a customary title of nobility: the holder was always referred to as a Baron, but was not the holder of a peerage, and had no right to sit in the Irish House of Lords. In 1614 the Dublin Government noted that there were "diverse gentlemen" in Ireland who were called Baron, yet: "Never was any of them Lord Baron nor summoned to any Parliament". ↑ Genealogisches Handbuch des Adels Furstliche Hauser Band XVI. Limburg an der Lahn, Germany: C.A. Starke Verlag. 2001. p. 64. ISBN 3-7980-0824-8. ↑ Sanders, I.J., Feudal Military Service in England: A Study of the Constitutional and Military Powers of the 'Barones' in Medieval England, Oxford, 1956, Part I, The "Baro" and the "Baronia"
↑ Hallam, Elizabeth. Four Gothic Kings. p. 256. ↑ Selden, John (1672). Titles of Honor: By the Late and Famous Antiquary John Selden of Inner Temple, Esquire (Third ed.). London: Thomas Dring. p. 570. 1 2 3 4 5 6 7 8 9 Pine, L.G. (1992). Titles: How the King became His Majesty. New York: Barnes & Noble. pp. 76–77, 108–112. ISBN 978-1-56619-085-5. ↑ "1660 Abolition Act" . Retrieved 4 May 2013. ↑ "Forms of Address – Barons and their Wives". Debrett's. Archived from the original on 7 August 2013. Retrieved 10 August 2013. 1 2 "British Titles – Baron". Burke's Peerage. Archived from the original on 12 May 2014. Retrieved 10 August 2013. ↑ "Forms of Address – Baroness in Her Own Right and Life Baroness". Debrett's. Archived from the original on 29 December 2011. Retrieved 10 August 2013. ↑ "British Titles – Lady". Burke's Peerage. Archived from the original on 11 August 2013. Retrieved 10 August 2013. ↑ "The Court of the Lord Lyon – News" . Retrieved 10 August 2013. ↑ "The Court of the Lord Lyon" . Retrieved 7 January 2010. ↑ Senior-Milne, Graham (27 June 2005). "Forms of Address". The Feudal Baronies of Scotland. Retrieved 13 March 2017. ↑ "Titles and Usages". The Convention of The Baronage of Scotland. Archived from the original on 25 February 2015. Retrieved 13 March 2017. ↑ "Forms of Address – Scottish Feudal Baronies". Debrett's. Archived from the original on 25 July 2013. Retrieved 10 August 2013. ↑ "Royal and Noble Ranks, Styles and Addresses". The International Commission on Nobility and Royalty. The International Commission on Nobility and Royalty. 2009. Retrieved 13 March 2017. ↑ HM Passport Office (7 February 2012). "Observations in passports" (PDF). GOV.UK. HM Government. Retrieved 12 January 2018.